Cancún is located on the northeast coast of the Yucatán peninsula and is a popular vacation destination owing to its great beaches, numerous hotels, reliably good weather, and relative proximity to the United States. 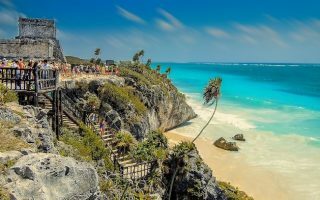 It’s also the northern anchor point of the ever-growing Riviera Maya (Mayan Peninsula), which stretches along Highway 307 south to Tulum and is lined with beach resorts looking out to the Caribbean Sea. Despite the sea, beaches, and good weather, the options for running in Cancun and vicinity aren’t great. There are few secondary roads or multi-use paths, and no major public parks. But we’ve done the research to find you the best places to run in Cancún and the Mayan peninsula. Our thanks to Antonio at the Ritz Carlton for his advice on some sections! Some of the best running in Cancún’s ‘hotel zone’ is on the fairly well packed sand of the lovely, wide beaches. There’s also a 10 km section of the main road that has a separate multi-use path that’s popular with runners. Unfortunately most of your views will be of hotels rather than the sea. 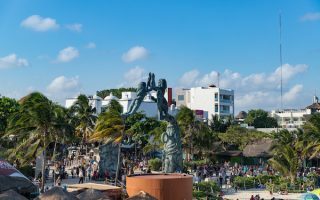 We’ve also researched some of the better running options along the Mayan Riviera, including Cozumel, Playa del Carmen, Playacar, and Tulum. 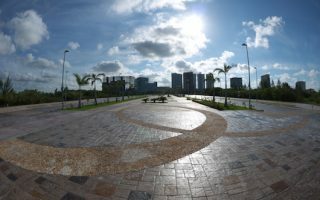 Some of the mega all-inclusive resorts are big enough where one could put together a few km along their well-manicured paths, even using the beach as a connector to run between them. A few items to be aware of when running in this area. The weather can be very hot and humid, so going early or late might be recommended in certain seasons. In central Cancún, use caution and consider running with a buddy and not at night. There are some buses running between downtown Cancún and the hotel zone, and along Highway 307 (allowing for a one-way run). 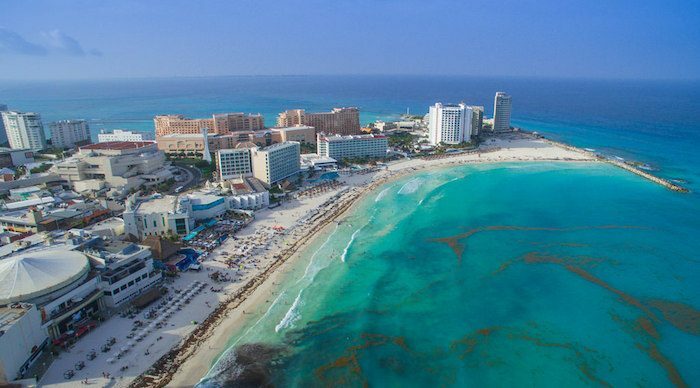 In central Cancun, the best options for running are: the bike path that extends towardd the hotel zone for 10 km; Malecón Tajamar, which has some nice water sections; Kabah Park's 2.5 km of paths, the some quieter streets around the port. Classic beach running, with views of turquoise waters and and firm, packed sand near the water. The best section is the 9 km between Playa Forum and Playa Delfines, which is wide, continuous, and open to the public. Coastal town on the Riviera Maya. 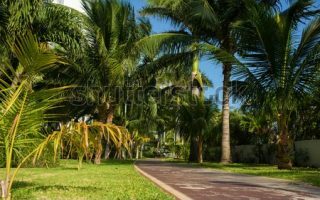 Best running options are the pedestrian path along the Quinta Avenida, several beach sections, and a lovely loop around the golf course in Playacar, a high-end neighborhood just to the south. Ancient Mayan port city of known for its well-preserved ruins, archeological park, and beautiful beach. Best running options are several bike paths, the 1.5 km along the beach, and paths around the ruins. 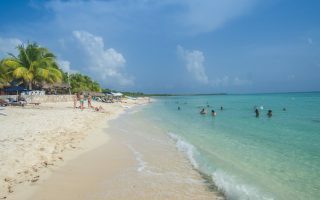 This resort island 12 miles east off the east coast of the Yucatán Peninsula is FABULOUS for running, owing to many dozens of km of dedicated, waterside paths. Oceanfront running on both the more developed west side and the more rugged east side. 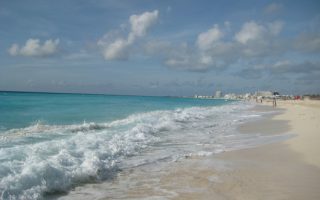 Cancun weather is great for running at any time of year. During the summer months, highs average near 90F (32C) and it’s more humid, with near daily thunderstorms. Nights stay warm and humid as well. Hydrate accordingly during the summer months. Winter is drier and less humid, with more sunny, clear days and daytime temperatures averaging near 80F (26C) and occasionally cooler nights. Precipitation can happen at any time of year but occurs more frequently in summer in the form of brief but heavy downpours. Well, the Hotel Zone isn’t called that for nothing! To access a decent running path, stay between km zero near and km 10.